Jason Day is the world’s number one ranked golfer though Dustin Johnson with his superlative play this summer is gaining on him and a lot depends on the outcome at East Lake Country Club in two weeks at the Tour Championship. However, that not the point of this column. The point is to congratulate Day for not making the same mistake numerous other stars have made (including Payne Stewart after he won his first major) of switching equipment companies. Often what happens is though the star is being paid lots of money to play the new clubs, they don’t perform like the old clubs. Many struggle for months if not an entire season trying to recapture the winning magic they had found in the old sticks. Of course, as soon as winning a few tournaments or a major pushes a player higher in the golf consumer’s consciousness equipment makers line up offering significant monetary inducements to drop the clubs that made them famous and take on new ones. Day hasn’t done that, in fact he had already re-upped with his club company TaylorMade Golf several months ago in advance of the contract renewal date at the end of the year. What he didn’t continue was his contract with TMaG’s parent company adidas to wear their shoes and apparel. Therefore the announcement he had signed with Nike to endorse shoes and apparel for a reported $10 million annually was not a huge surprise. Day not only will continue with TMaG for his clubs he can’t play Nike clubs since they dropped out of that part of the business last month. 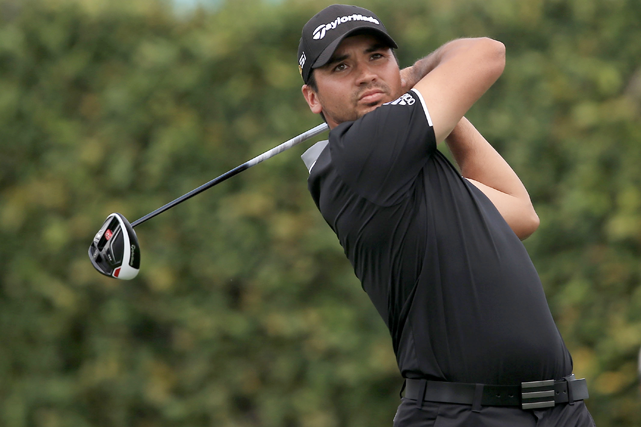 So congratulations to Jason Day for not making a potentially disastrous choice.